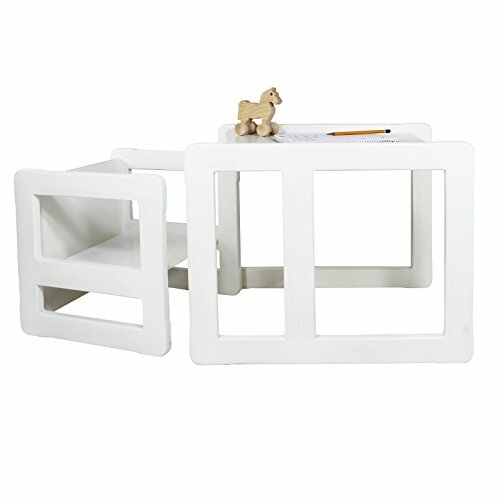 3 in 1 Childrens Multifunctional Furniture Set of 2, One Small Chair or Table and One Large Chair or Table Beech Wood, White Stained by Obique Ltd at Indsight. MPN: OB_SET_O_00103. Hurry! Limited time offer. Offer valid only while supplies last. Usage options of this 3 in 1 Childrens Multifunctional Furniture Set of 2, One Small Chair or Table and One Large Chair or Table Beech Wood are: 1. This listing is for 3 in 1 Childrens Multifunctional Furniture Set of 2, One Small Chair or Table and One Large Chair or Table Beech Wood, White Stained.